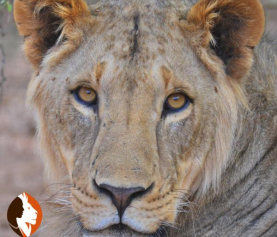 Lion Guardians – Meat eating and conservation! 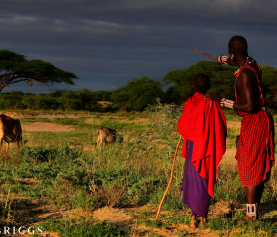 Home / Maasai traditions / Meat eating and conservation! The Maasai community is known all over the world as livestock keepers. This is their main source of wealth and it has sustained them since time immemorial. To a Maasai, eating meat is a very special thing, almost a preoccupation. And actually, if you pay a visit to a friend and he slaughters a goat for you, you know that your friendship is cemented forever. In the Maasai tradition of yester years, there was a special meat eating season which every moran had to undergo. All the morans in a particular neighbourhood or family would get together to plan this event. They would scout for a base camp, fence it and each of them would in turn donate a cow to be slaughtered until the season was over. Then they would decide whether to go for a second round or not! It was a very valuable tradition that served two main purposes. These meat eating sessions acted as a school of some sort. Different important traditional and cultural aspects of the community were imparted to the young morans. 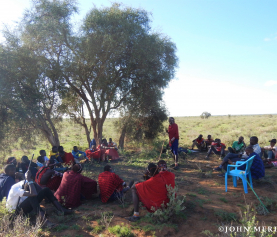 Selected elders respected for their valuable experience and deep knowledge of culture always accompanied them and they would explain each aspect of the Maasai culture to an inquisitive audience who were allowed to ask as many questions as they wished. The second purpose is that morans will mix different shrubs known for their effectiveness and make soup with it. They drink it when thirsty. Water is banned. They believe these traditional shrubs cleanse their digestive system and make them immune to many diseases and allow them to better act as the defensive unit of the community. The Maasai have done this for years without end. However, due to the severity of the last drought, everybody has gone without this session. But now, it is on! It is meat eating season! Junior elders, senior morans, as well as the young moran age-set are all going for it! In fact, our own member of Parliament recently invited me to a meat eating session for a selected few. I enjoyed it for two days but had to leave after this time because of my commitment to the Lion Guardians. Not to be left behind, our Lion Guardians are also undergoing the same in their own zones. They go for their daily duties and come back to ‘orpul’ as it is known, in the evening. They take this time to educate their age-mates on different aspects of conservation. And it seems they are doing this very well, as we have had many compliments from the junior elders who are very pleased with their training. Clearly, meat eating sessions are here to stay despite the different subjects the morans are now learning about. it sounds like meat eating is enhancing the wisdom of conservation. besides, it looks like it is so much fun for the men. i just hope that cow or goat is well treated thru out her life and die quickly without pain and suffering. I love eating meat too ( especially outdoor and under the beautiful African nightly sky ).